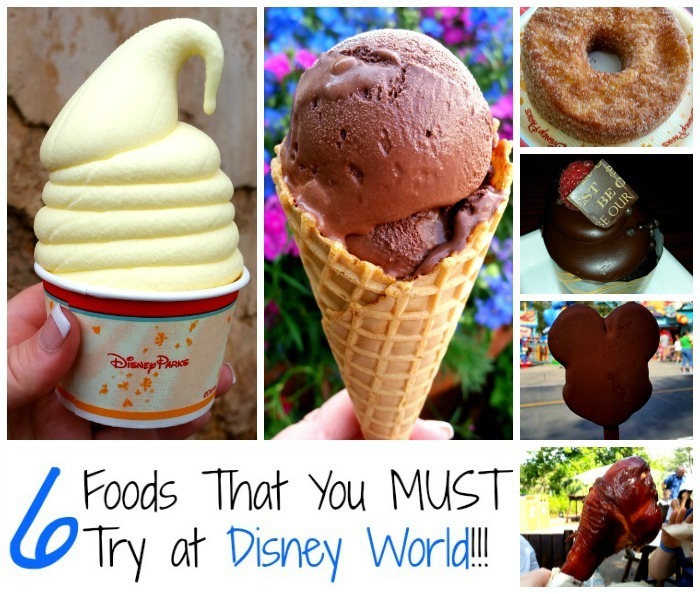 For our recent trip to Walt Disney World for Food Blog Forum (that’s a food bloggers conference), I knew that I wanted to try as many treats as possible! 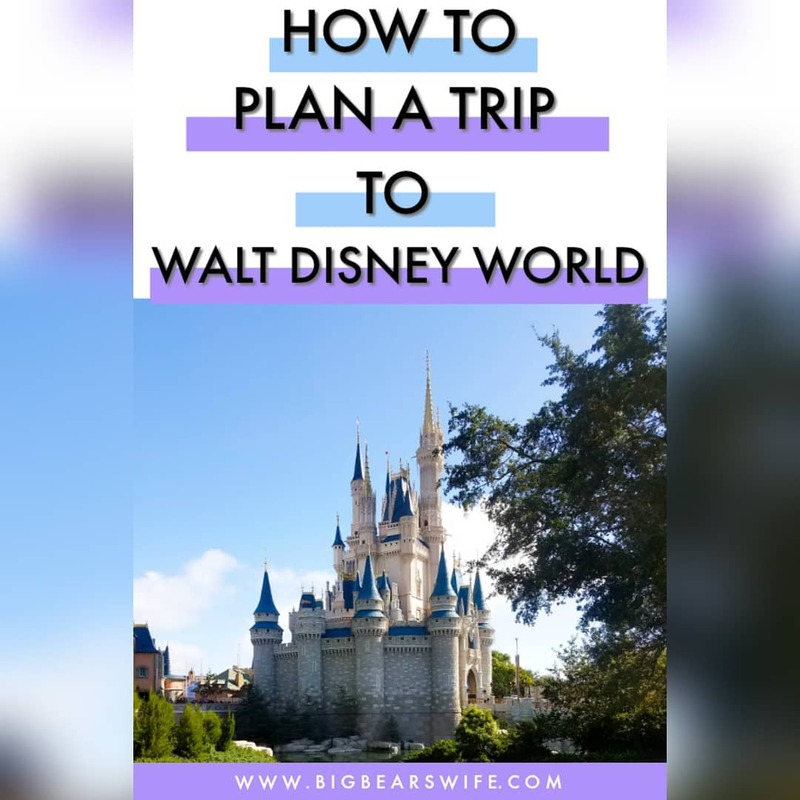 I had three family members with me and I wanted to use this to my advantage when it came to all of the treats at Disney World! Sure I wanted to try all of these wonderful Disney treats but to be honest, there is no way in heck I was going to be able to eat all of these things. Ok well maybe I could have physically eaten them all during our trip but it was much easier to “eat my way around Disney” when I was sharing these treats! 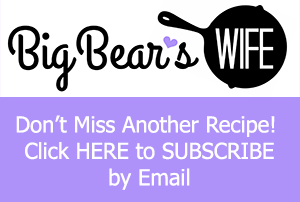 On our last day at Disney, Big Bear and I did “Eat Around The World” in the Ecpot World Showcase and I’m going to blog about that soon but until then, here are six of my favorites from our recent trip and where you can find them! No matter how many times I visit Disney World I always end up getting a Mickey Bar at least once while I’m there. 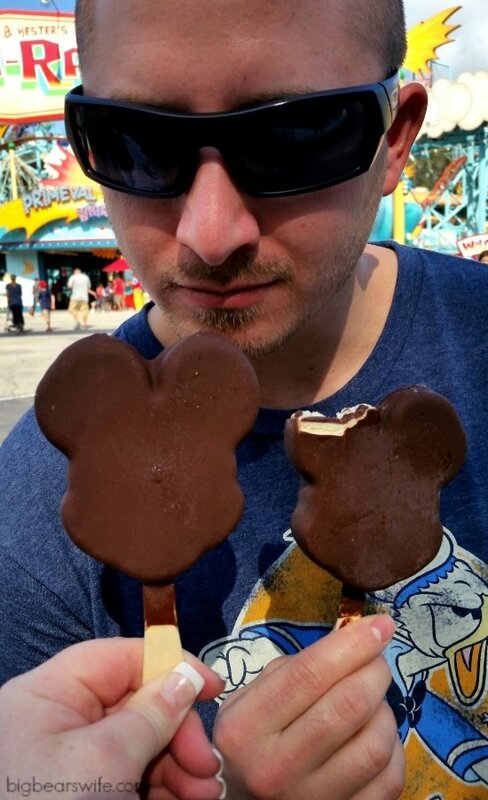 For those of you that haven’t had a Mickey Bar, it’s pretty much just really good vanilla ice cream, covered in a hardened chocolate coating that’s shaped like Mickey Mouse’s head. They remind me of “Brown Mule Ice Cream Bars” that we use to get in the school cafeteria and the Mickey Ice Cream Bars that we use to be able to buy from the ice cream truck. 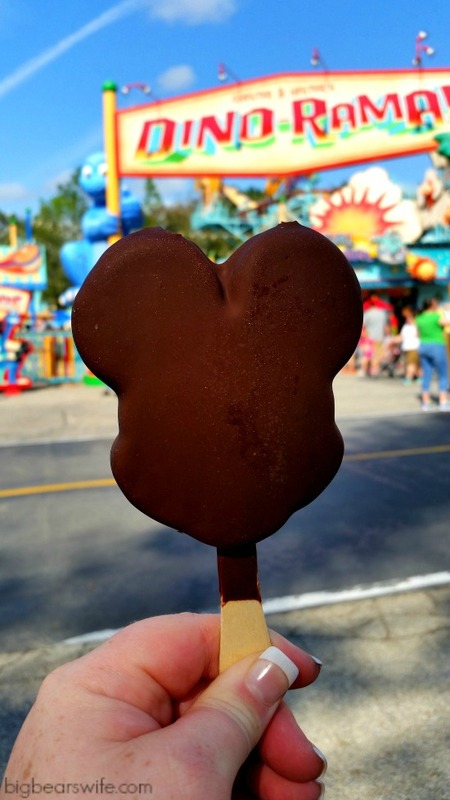 You can find the Mickey Mouse Ice Cream Bars in every park at Walt Disney World. 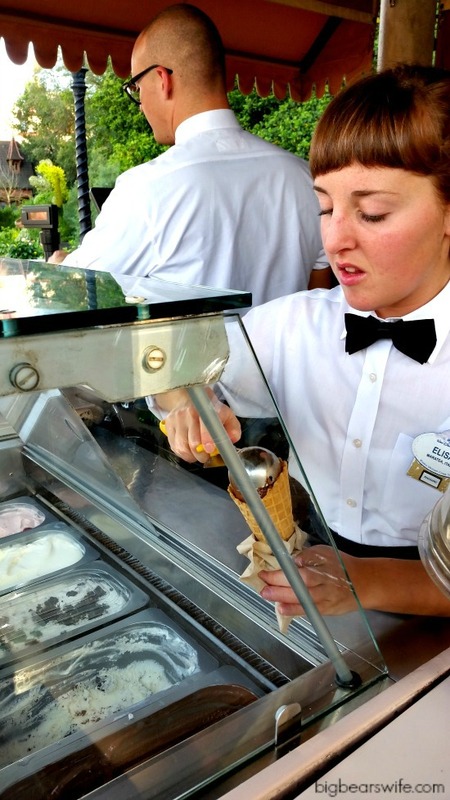 They can be purchased from the ice cream carts that are dotted all over Walt Disney World. I got this Mickey Premium Ice Cream Bar from the Ice Cream Cart that’s right in front/beside of the Primeval Whirl ride in DinoLand USA in the Animal Kingdom! Normally I don’t go too crazy about the cupcakes at Disney World. I mean, YES, they are beautiful and tasty but I can make cupcakes at home and there are normally other fantastic Disney treats on my list that take priority. BUT you’re not going to want to miss this Triple Chocolate Cupcake!! I normally find that a lot of theme park cupcakes are dry but this cupcake is NOT anywhere near dry! It’s soft, rich and chocolately! It’s probably one of the best I’ve had at Disney World! 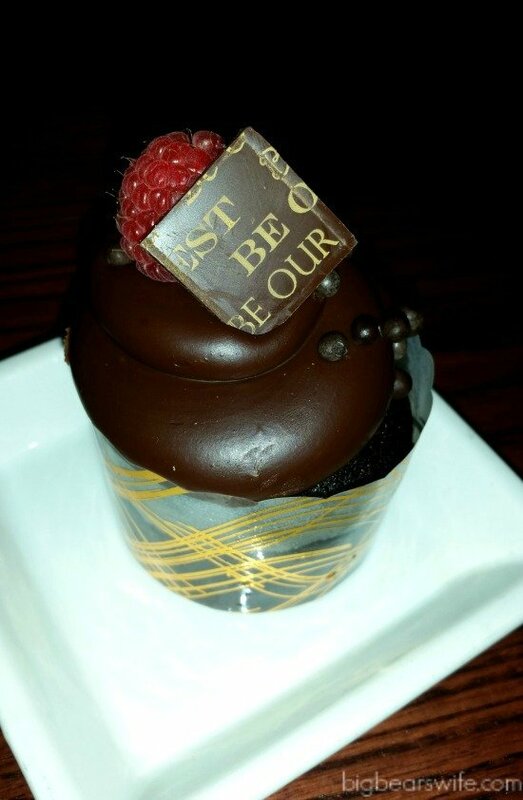 The Triple Chocolate Cupcake is a chocolate sponge cake filled with chocolate mousse filling topped with chocolate ganache, a fresh raspberry and a “Be Our Guest” chocolate square! 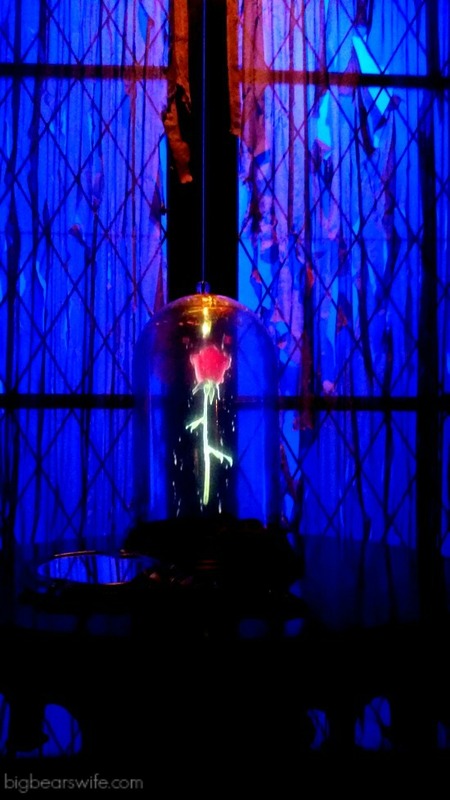 The Triple Chocolate Cupcake is from the Be Our Guest Restaurant! 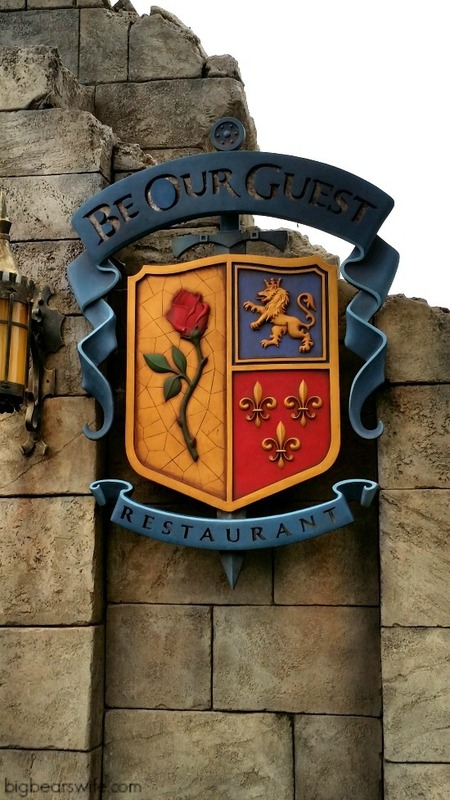 Be Our Guest is the Beauty and The Beast themed restaurant in Fantasyland which is located inside of the Magic Kingdom! 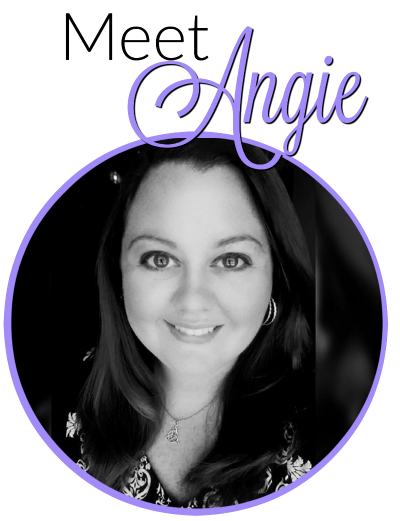 As of February 25th, you can now make lunch reservations and that’s exactly what I did! I scored us a lunch reservation for our first day in the parks and we loved it! The Triple Chocolate Cupcake is served during lunch and dinner! This Jumbo Turkey Leg meal is big enough for two people to split it for lunch! I had no idea that these things were going to be this big so Big Bear and I had both ordered one for lunch! I had to get my brother to help me finish mine. 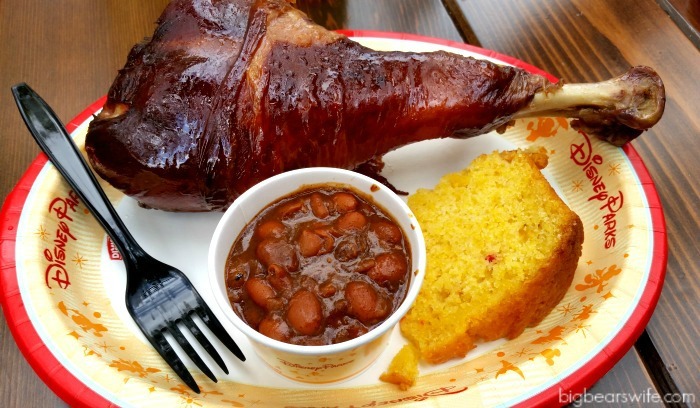 Between this dino sized turkey leg, the cornbread and beans, I was stuffed about halfway through my meal! Smokey and Tasty Jumbo Turkey leg! 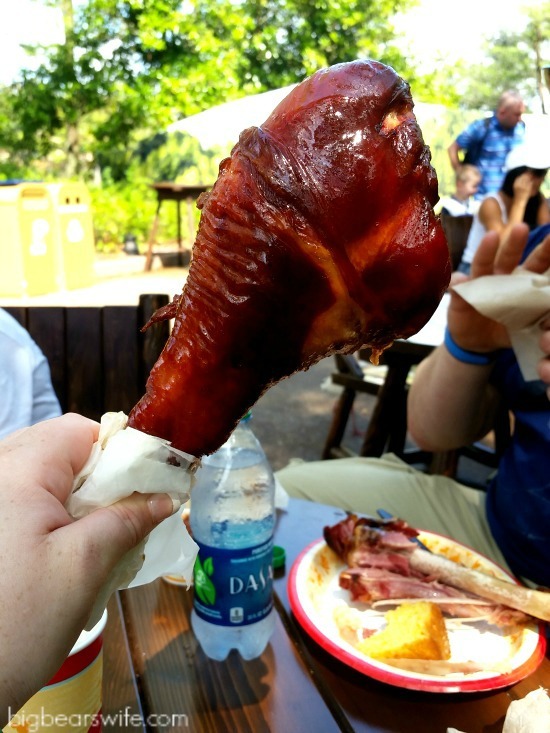 We got this Jumbo Turkey Leg meal from Trilo-Bites which is located in DinoLand USA in the Animal Kingdom! 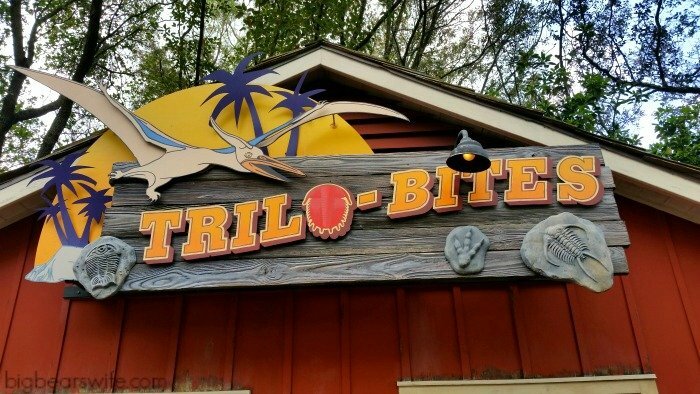 We were originally going to try and have lunch at “Flame Tree BBQ” but right now Disney is doing a lot of constructions on it’s parks so Flame Tree was closed for refurbishing but we got lucky and found out that the Trilo-Bites stand had Turkey Legs as well! 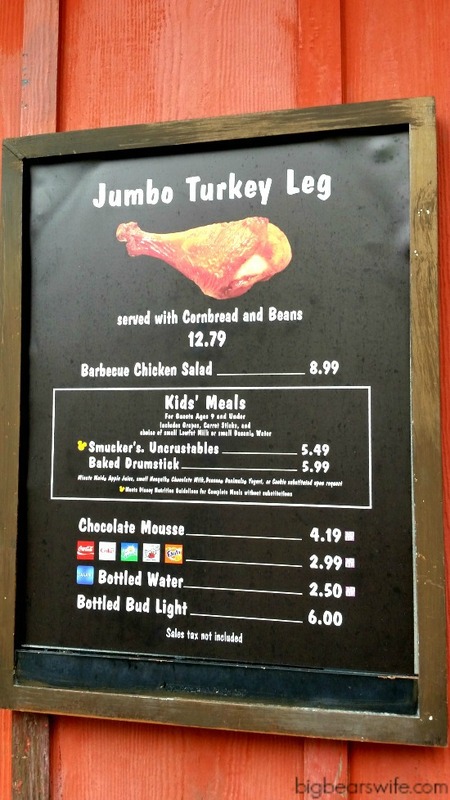 At first, $12.79 sounds like a bit much for a Turkey leg but like I said before, it was enough food to share so if you split it with someone you’d really only be paying around $6.40 + Tax for lunch… not a bad price for lunch at Disney! This is the Dole Whip and it’s totally one of my favorites! I had my first dole whip when we stayed at Disney’s Polynesian Village Resort a few years ago and I fell in love with the dole whip and vanilla swirl! It’s soft serve pineapple ice cream! It’s Frosty, Tropical and Perfect! Big Bear loves it too and we always make a trip over to the Polynesian when we’re at Disney to have a Dole Whip! By the 4th day of our trip we still hadn’t been over to the Polynesian and since we knew that the Animal Kingdom was now serving Dole Whips so we had to track them down! We found this Dole Whip at Tamu Tamu Refreshments. Tamu Tamu Refreshments is in Africa in the Animal Kingdom! Tamu Tamu Refreshments only serves the plain Pineapple Dole whip. 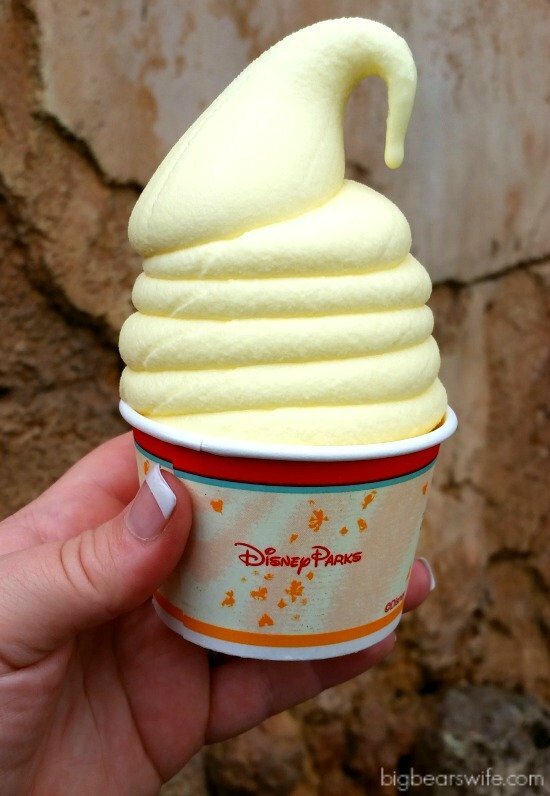 It’s good BUT as I’ve said before, the Pineapple and Vanilla Swirl Dole whip is my favorite! You can get those at Pineapple Lanai at Disney’s Polynesian Village Resort (they use to be at Capt. Cooks) and at Aloha Isle in Adventureland in the Magic Kingdom! On our first night in Disney world we rode the monorail over to Epcot for some late night Soarin‘ and Test Track! After posting a picture to Instagram of Epcot at night, I got a comment from Vanilla Lemonade asking me if I had found the Cronut! Wait…what? I needed to find this! 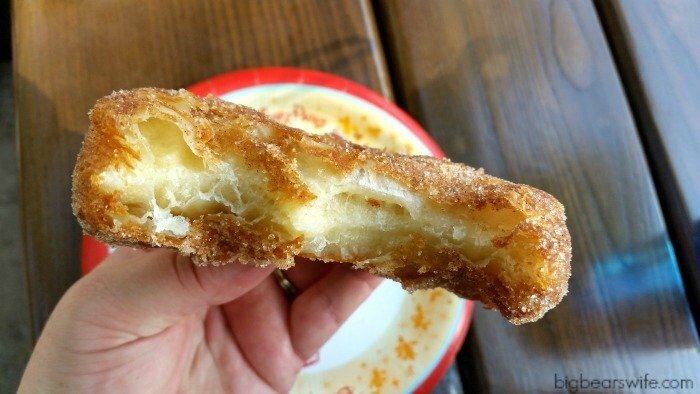 Well, it was a little too late that night to go off in search of this Croissant Doughnut but I put it on my list for our day in Epcot that was coming up soon! During our “eat around the world” day, Big Bear and I made sure to get our hands on one of these! 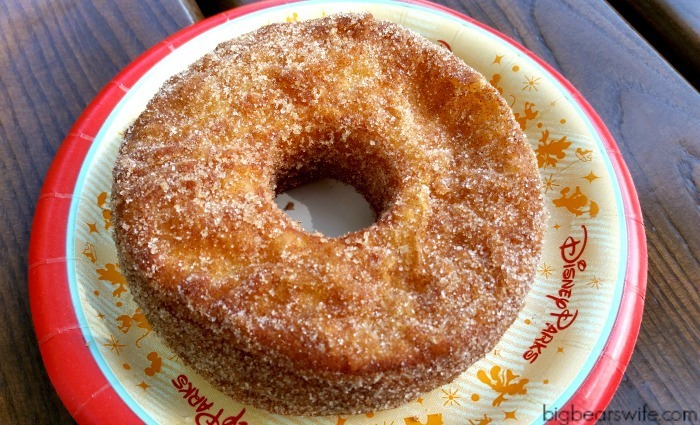 It turned out to be a huge, warm, soft Croissant Doughnut that was tossed in Cinnamon Sugar! I swear that this Croissant Doughnut was as big (if not bigger) than Big Bear’s fist! I only had two bites and Big Bear finished it off! 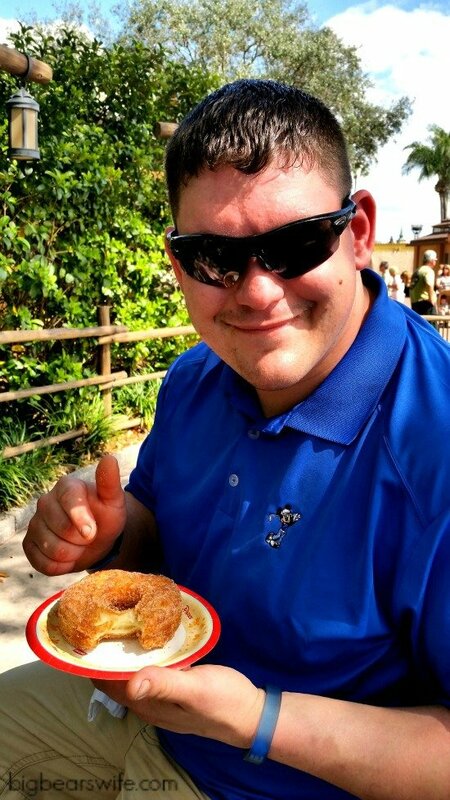 I think he would have went back for another if we didn’t already have a list of foods to try in Epcot for the day! 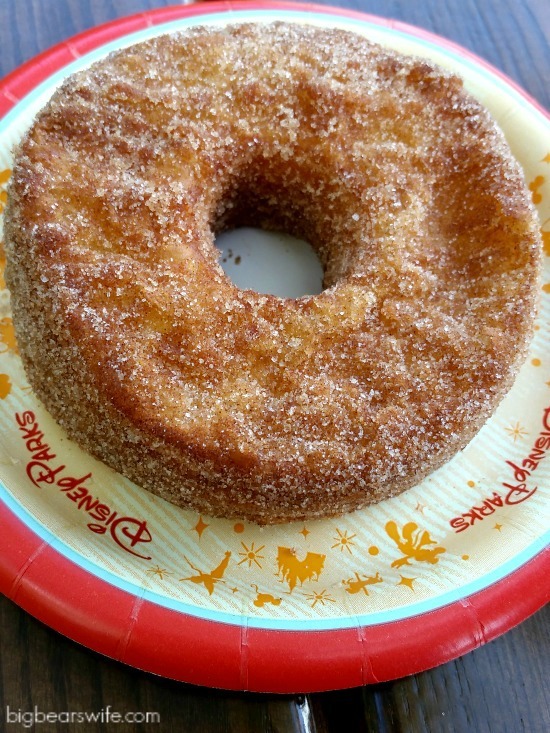 You can find Croissant Doughnuts at Refreshment Port in Epcot! 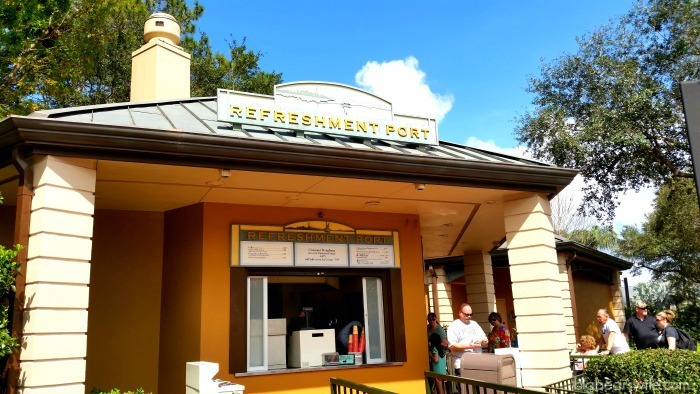 Refreshment Port is at the beginning of Epcot’s World Showcase, right before Canada! I’ve saved the best for last! Ok, well it was the best in my book! I literally can not stop thinking about this Chocolate Gelato and I wish that I had discovered it sooner so that I could have enjoyed more of it during our trip! Gelato is pretty much the Italian version of ice cream but it’s so much better than regular ice cream! I can’t even put it into words…it was that good! I should have gone back and bought more! 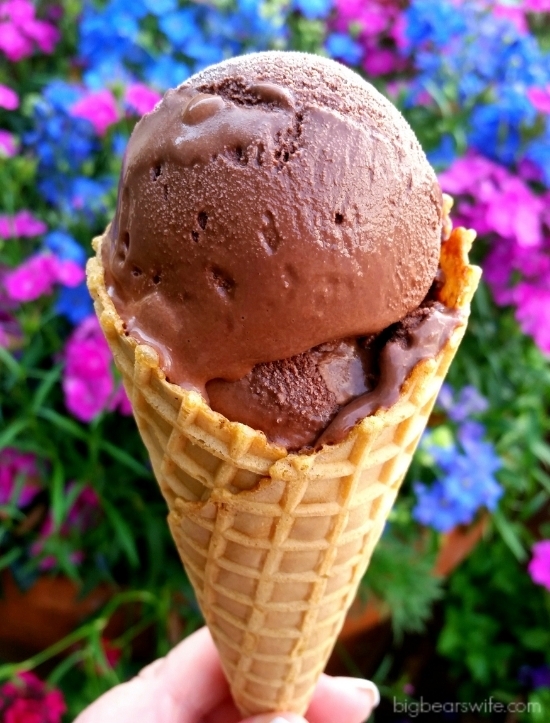 You’ll find this Chocolate Gelato in Epcot! 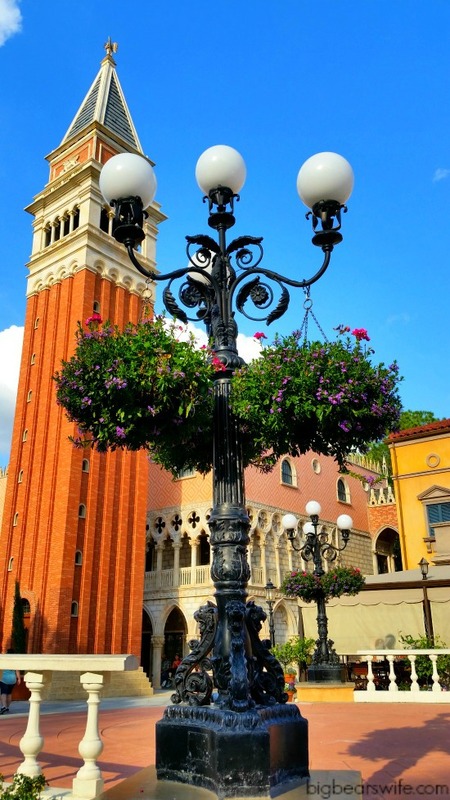 It’s served from the Italian Gelato Kiosk in the Italy Pavilion of Epcot’s World Showcase! 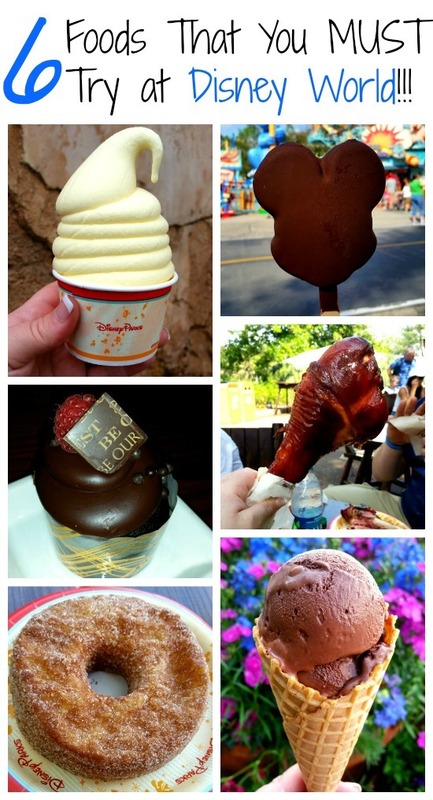 So those are Our Top 6 Foods That You MUST Try at Disney World! What are your favorites? 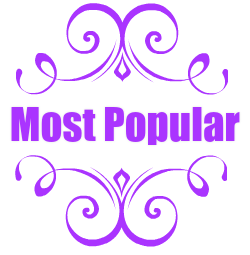 Did they make our list? Anything that we MUST try next time? 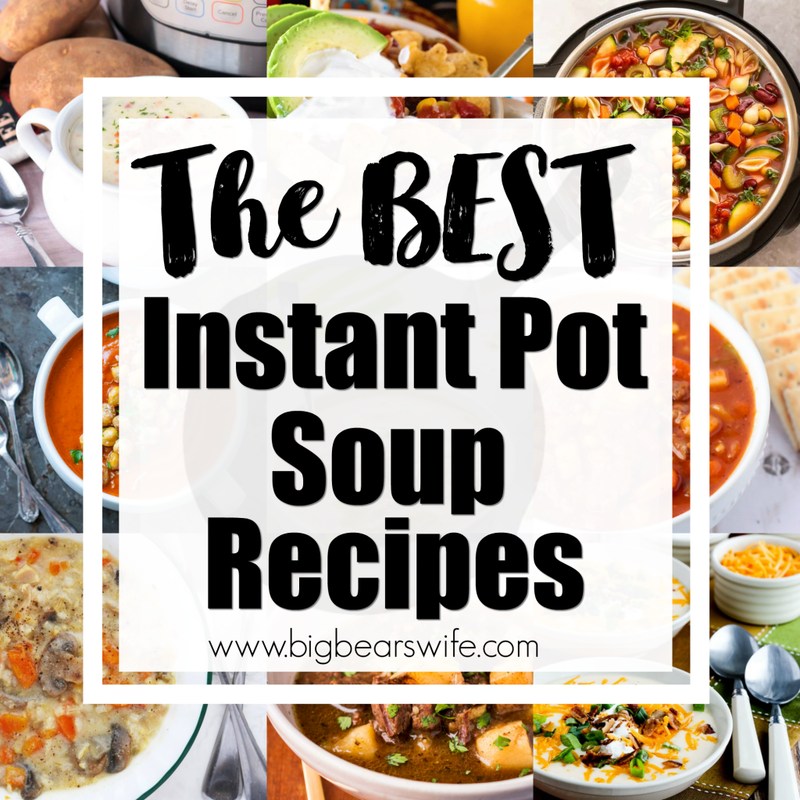 This is my kind of list! (Because there are 5 out of 6 items that are sweet.) I’m in California, so I’ve tried Mickey ice cream bars, Dole Pineapple whip and turkey leg at Disneyland but the other items look divine, especially the cupcake! I MUST GET A CRONUT! Oh, YUM! That croissant doughnut is definitely on my top 5 list!! 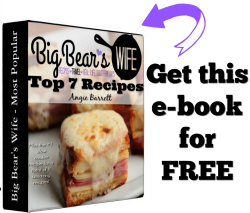 I was happily surprised by it–was afraid it would be too much, but it definitely was not! You MUST try school bread from the Norwegian bakery. You will be hooked!! ooo I’ll have to grab some of that during our next trip!! Thanks for the recommendation! I’ve tried to explain to my husband that Disney has really good food compared to other theme parks. This just reaffirms what I have been saying. I love Disney’s churros. Doh ! Last time we went, we were so full we thought about gelato but just couldn’t fit it in ! We did get a cronut to go on the way out, though. (can’t save gelato for later). Everyone RAVES about the schoolbread in Norway and I loved it, but I read someone say that the schoolbread ain’t go nothing on the trible berry cream puff @ Norway and we tried it last time……omg it was decadent. Beats the schoolbread like crazy. I also never tried the turkey leg (too many bones and veins for me). Dole Whip soft serve, cronut, triple berry creampuff, mac n’ cheese @ Eight Spoon Cafe, the peach oolong boba tea @ Joy of Tea in China, Epcot, are our faves. yummm…. can’t wait to go back !